D. Deeni Taylor is our Executive Vice President and Chief Investment Officer, a position he has held since January 2017. From October 2015 through December 2016, Mr. Taylor was our Executive Vice President – Investments. 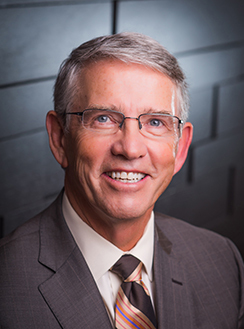 From 2006 until 2015, Mr. Taylor served as an Executive Vice President of Indianapolis based Duke Realty, Inc. (NYSE: DRE), helping to lead Duke’s healthcare team. Prior to Mr. Taylor’s healthcare real estate career, he had a 25-year hospital career. From 2000 until 2006, Mr. Taylor served as Executive Vice President and Chief Strategy Officer for St. Vincent Health, an Ascension Health ministry, which included 16 hospitals serving central Indiana. He also served as President of Unity Health Management Services in Birmingham, Alabama from 1997 until 2000 and worked for Ascension’s St. Vincent’s Hospital in Birmingham, Alabama as the Vice President of Planning and Marketing from 1992 until 1997. Prior to that, he worked for St. Joseph Hospital in Augusta, Georgia, where he served as Vice President Ancillary Services from 1982 until 1992. Mr. Taylor is a graduate of Purdue University, with a B.S. in Pharmacy, and Central Michigan University with a Masters in Science Administration. Mr. Taylor is a member of ULI and serves on their Healthcare and Life Science Council in a leadership position. He is a past Diplomate in the American College of Healthcare Executives. Mr. Taylor has served on Peyton Manning’s PeyBack Foundation since 2001.